The Tanabe Sustec UnderBrace ties together the lower control arm mounting points. It basically does what the Neuspeed and Cusco lower tie bars do. 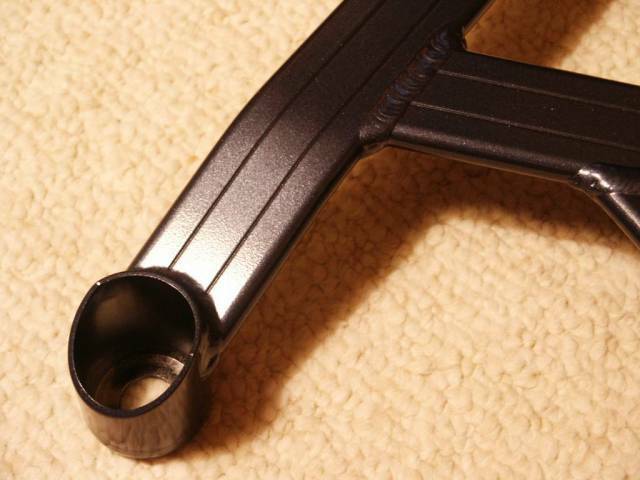 The Tanabe Sustec UnderBrace is made out of hollow aluminum tubing with internal fins to make the tubing stiffer. It is welded together nicely and has a stainless steel identification plate riveted on to it. 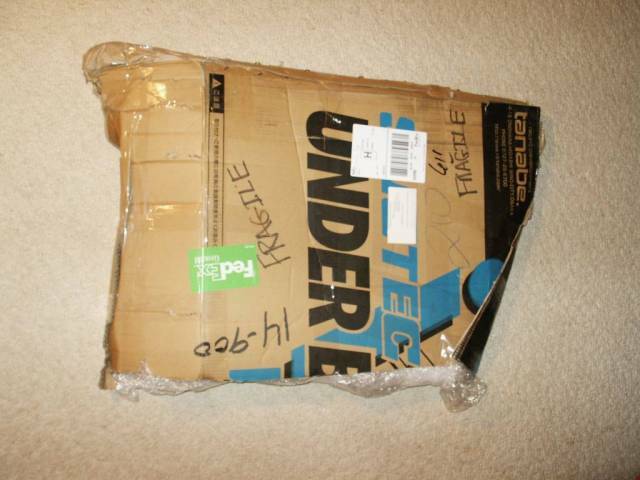 When you view it from the side you can see that it is bent in such a way as to make it stiffer. It is a lightweight too, weighing in at only 4 pounds. 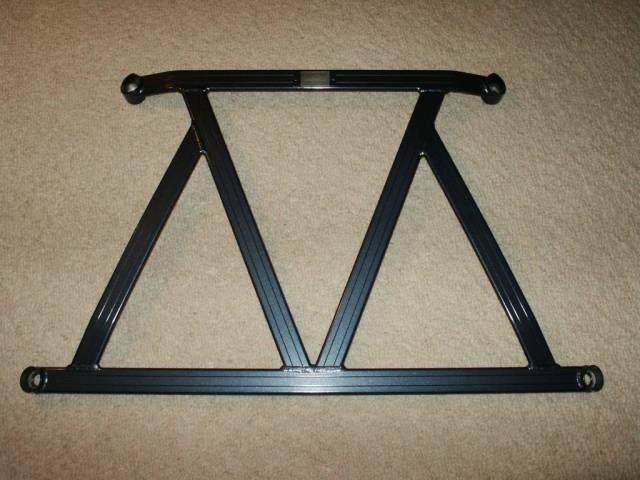 It is also powdercoated in a smooth and shiny dark blue metallic color that does not chip. 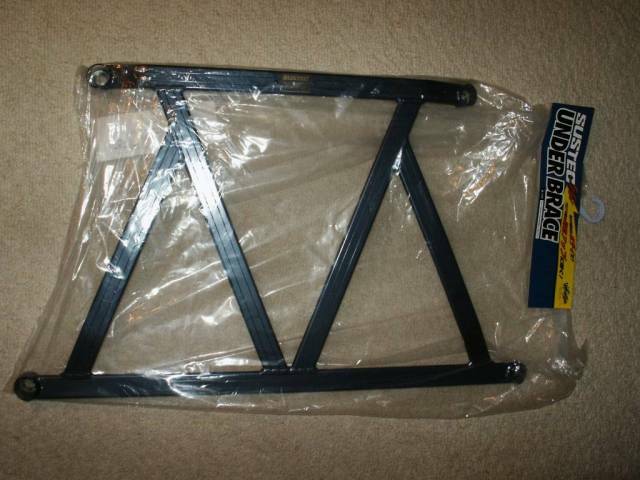 This is how the Tanabe Sustec UnderBrace came to me straight from dezod. Take off the wrapping, and you get some more wrapping. Here it is in all it’s glory. The triangulated shape is strong, yet light. Here’s a shot of the stainless steel tag that is riveted in to place. Here’s a close-up of the welds and of the finish. Yummy. See the bends that make it thicker when viewed from the side? 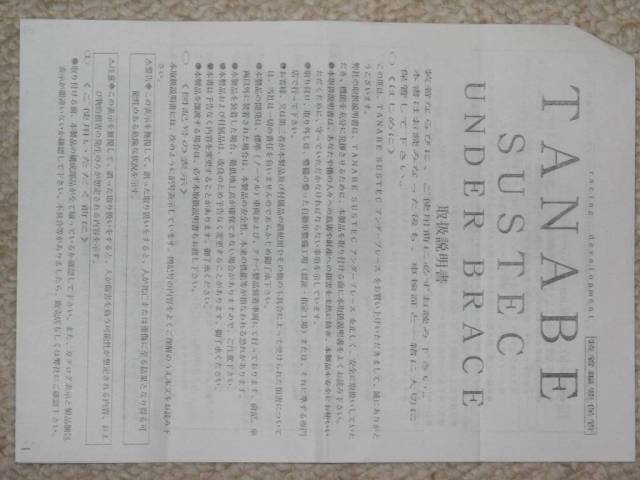 This is the first page of the instructions that came with the Tanabe Sustec UnderBrace. 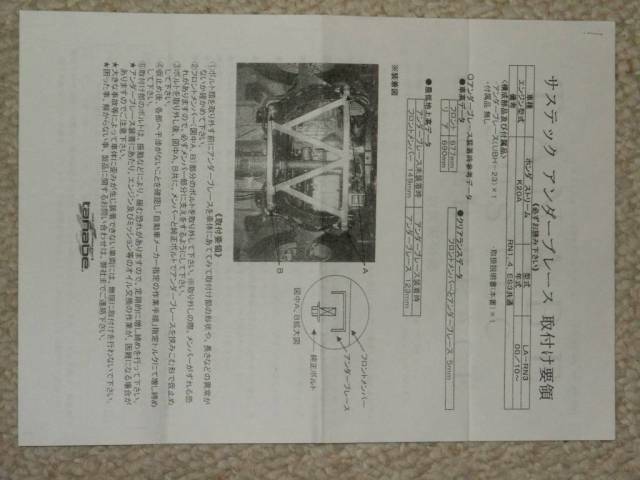 This is the second page of the instructions that came with the Tanabe Sustec UnderBrace. 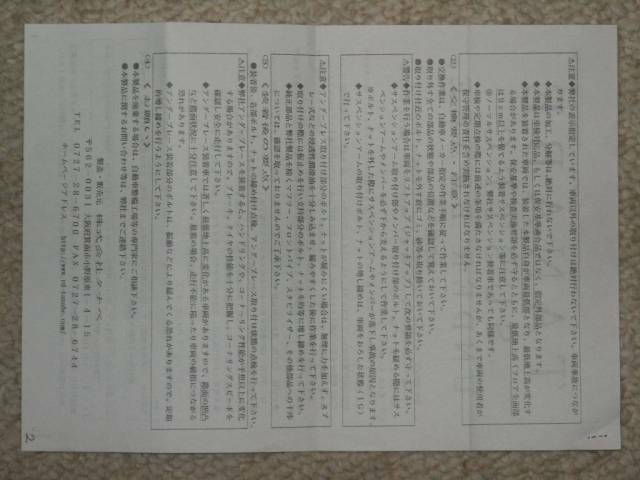 This is the third page of the instructions that came with the Tanabe Sustec UnderBrace. 1. Pull up on the emergency brake to keep the rear wheels steady for jacking up the front of the car. 2. Jack up the front of the car by the front support point. Look for a metal pad with a hole in the center pointed to by an arrow on the black plastic underneath the car. 3. Put the jack stands under the side support points. 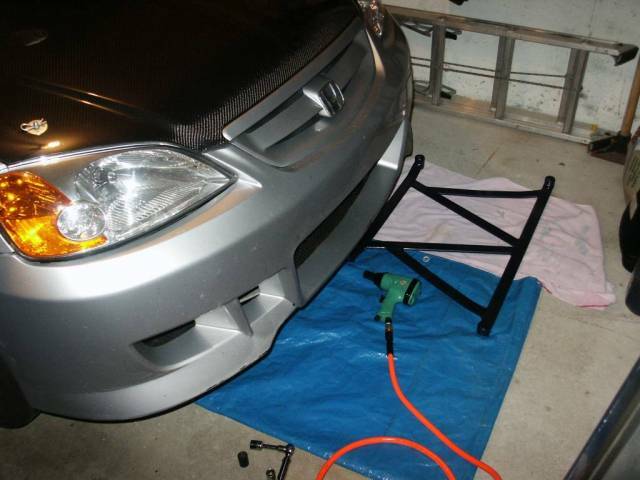 Make sure that they are extended as far as possible so that you have plenty of room to work under the car. 4. Lower the car onto the jack stands and set the jack aside. 5. Lay a tarp down under the car so that you will have a comfortable working area. 6. Take out all of your tools and set everything up so that you won’t have to stop what you’re doing to go and get something that you’ll need. Everything is set up to get the job done. This is basically half the job. 7. Go under the car and look for the four bolts that you will need to take off in order to attach the Tanabe Sustec UnderBrace. 8. Test fit the Tanabe Sustec UnderBrace without taking the bolts off in order to understand how it will attach to the sub-frame. 9. Look at the sub-frame. You will be able to take out the four bolts without having the sub-frame fall down on you. Understand what is holding it up. There are two large bolts in front and two smaller brackets in the back (besides the four bolts that we will be taking off). The bolts that we will be taking off are more for counter-acting the side forces from cornering than to support the weight of the engine and transmition that is sitting on the sub-frame. 1. Un-bolt the sway bar bushing brackets using a 14mm socket and socket wrench. 2. Look at the corner of the sway bar bushing bracket support plate near the bolt with the 17mm head. See how it’s cut out farther to allow the bolt with the 17mm head to fit into place without interfering the sway bar bushing bracket support plate? You need to cut the corners off of the sway bar bushing brackets to match the corners of the sway bar bushing bracket support plates. 3. 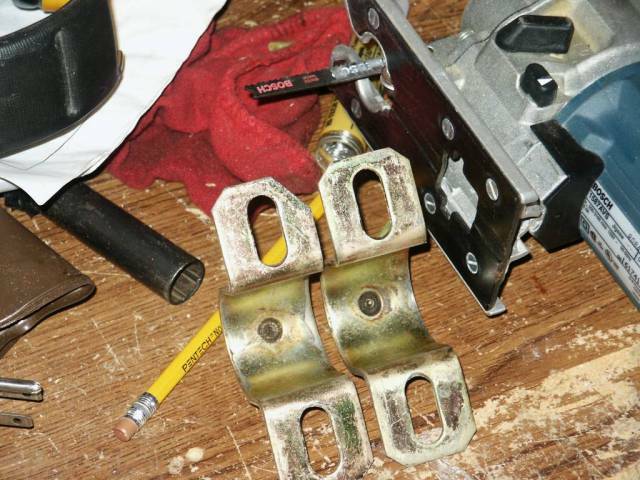 Mark off how much you will cut off of one sway bar bushing bracket by laying the sway bar bushing bracket support plate on top of the sway bar bushing bracket and marking off the exact amount with something that will leave a mark on the metal. The pencil in this picture is pointing to where the sway bar bushing bracket needs to be trimmed. 4. Use a hack saw to cut off the corner of the sway bar bushing bracket exactly as you marked. You may use a jig saw with the appropriate cutting blade to do the job quickly and precisely. Trace the amount that you cut off to the other sway bar bushing bracket by laying the sway bar bushing brackets one on top of the other and tracing with something that will leave a mark on the metal. See how much of the corner I I had to take off? 5. 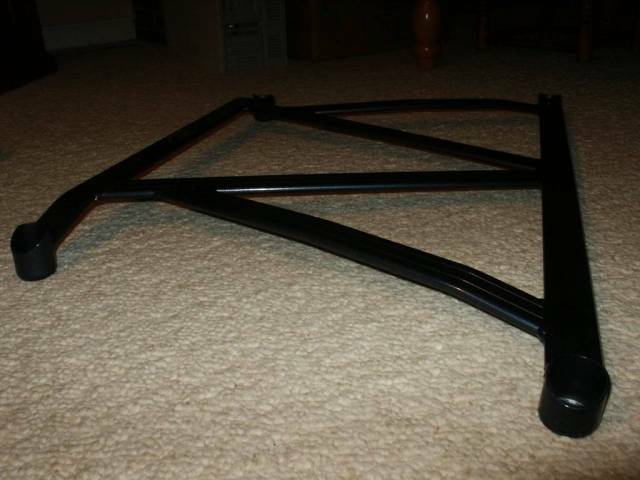 Re-attach the sway bar to the sub-frame and tighten the bolts down to 50 foot pounds. 10. Use a 19mm socket and socket wrench to loosen the bolts in the front and a 17mm socket and socket wrench to loosen the bolts in the back (these bolts will be used to hold down the Tanabe Sustec UnderBrace to the sub-frame). To aid you in loosening these bolts, an impact wrench may be used. 11. 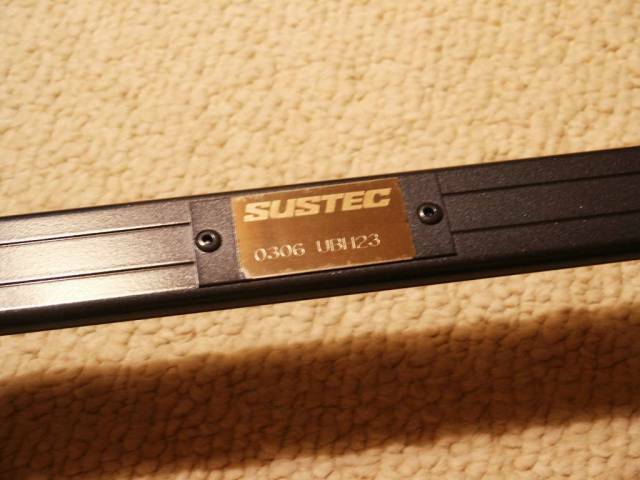 Align the Tanabe Sustec UnderBrace to the sub-frame and secure it in the back using a 17mm socket and socket wrench to tighten the bolts that used to be there. You may use an impact wrench to cut down on the time spent on tightening down the bolts. Do not tighten them down all the way yet; you might need some play to be able to align everything perfectly. 12. Check on the alignment of the holes in the front. The bolts that you took out with the 19mm socket and socket wrench held one side of the lower control arms. 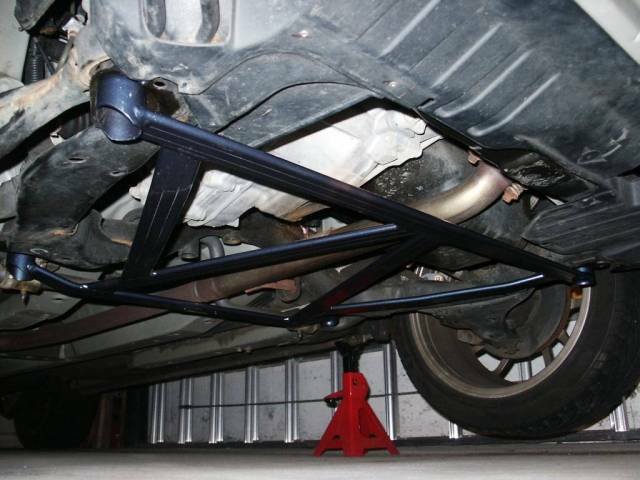 The lower control arms (both front and rear) have a tendency to mis-align when unbolted. 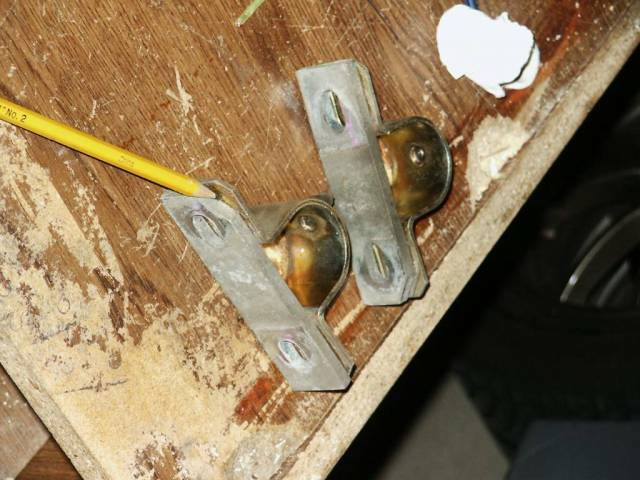 The solution to this problem is to get them back into position by sticking a screwdriver into the hole from the other side and wiggling it around; then simply use a 2lb sledge hammer to pound the bolt into place. The bolt is designed for this sort of thing, so do not be afraid to use a little force. Do not pound it in all the way though; it is enough that it slides in part way (less than the length of the bolt without any thread on it). 13. Tighten these bolts down with a 19mm socket and socket wrench. Again, an impact wrench will help you to get this done quickly. Tighten all of the bolts down with a torque wrench to 76 foot pounds.